When I was a girl scout trying to earn my cooking badge, my troop leader had us create a cookbook. I remember going to my friends’ moms, grandmas, aunts and anyone I knew who cooked to ask for their favorite recipes. The recipe that became a big hit in our house was the Sloppy Joe. My mom made it at least once a week. It was quick to make and fun to eat. We didn’t have to worry if the filling dripped all over us. Since this is a truly busy and hectic time of year, I thought I would share an updated version of a childhood favorite. 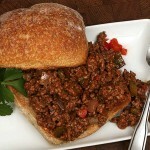 Here are some fun facts that I found on Foodimentary about Sloppy Joes. 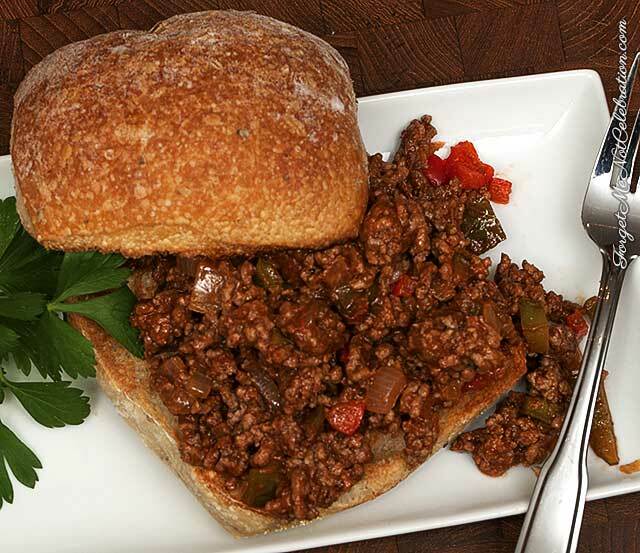 The Sloppy Joe is known by many names, such as manwich, slush burger, dynamite and Sloppy Jane. Several movies, such as It’s a Wonderful Life and Citizen Kane, refer to the Sloppy Joe. In 1969, Hunts introduced its Manwich Sloppy Joe Sauce. March 18th is National Sloppy Joe Day. Heat olive oil, on high, in a large skillet. Add the ground sirloin and sauté the beef, breaking it into small pieces, until brown. Remove the browned meat from the pan. Add the remaining olive oil to the pan and sauté the onion, peppers and garlic until soft. Add the brown sugar, the cumin, the cinnamon and the cloves to the pan and cook for one minute. Combine the tomato sauce, vinegar and Dijon mustard in a small bowl. Pour over the sautéed mixture and cook 5 minutes. Add the browned sirloin to the pan and cook on low for 15 minutes. Serve on a nice crusty bun.